eGo AIO, all-in-one style, is the best anti-leaking structure e-cigarette with 2ml e-juice capacity. 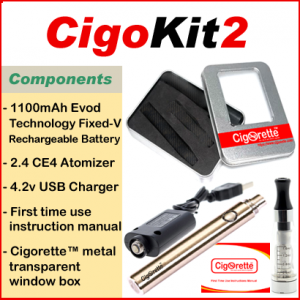 It applies childproof systems such as pressure twist cap of the tank and five-click fire button of the power supply. eGo AIO is convenient and straightforward in use and fashionable in the look of several mixed colors and indicator light of seven colors. 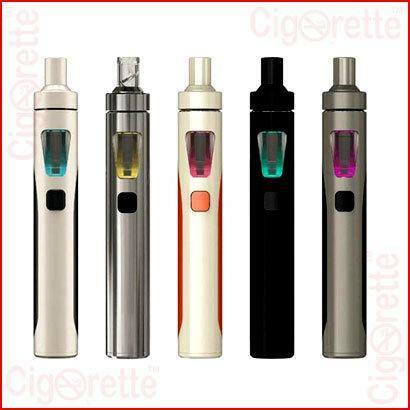 eGo AIO, all-in-one style from Joyetech, is the best anti-leaking structure e-cigarette with 2ml e-juice capacity. 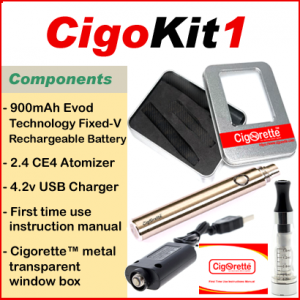 It applies childproof systems such as pressure twist cap of the tank and five-click fire button of the power supply. 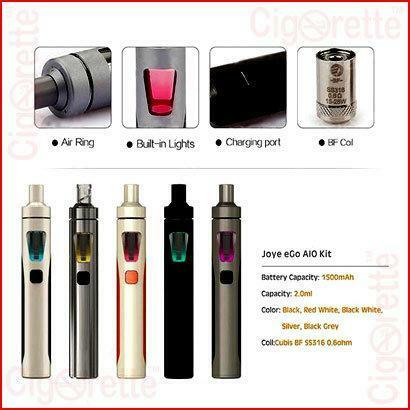 eGo AIO is convenient and straightforward in use and fashionable in the look of several mixed colors and indicator light of seven colors. Also, it’s simplicity and efficiency make the device quite popular and unique. 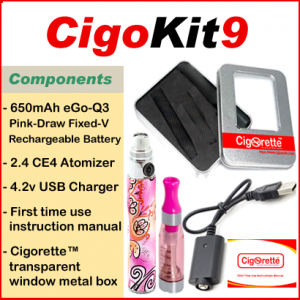 Moreover, it applies an all-in-one style with atomizer inserted inside, which is quite convenient to use and powerful enough to produce massive vapor. 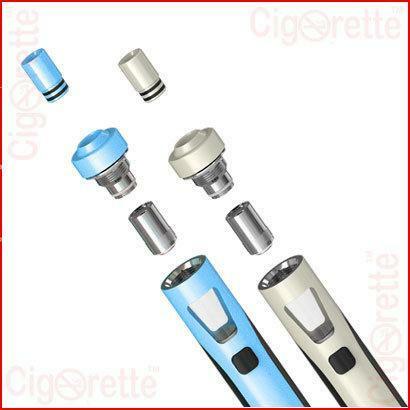 The atomizer cap is equipped with a child lock so that one should press the lid to screw or unscrew the atomizer cap. 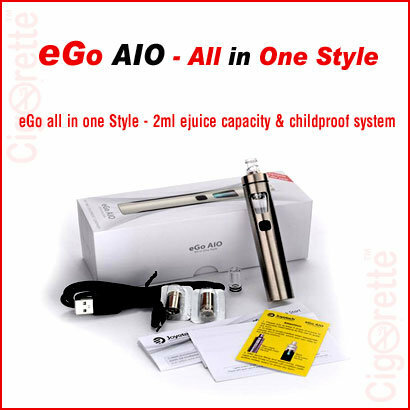 eGo AIO applies two sets of the battery protection circuit system, realizing overall battery protection of over-charging, over-current and over-discharging, which makes aGo AIO more Advanced and reliable. The inserted spiral structure mouthpiece is more beneficial for mouth inhale and is more secure. To fill you e-liquid; Press the cap to unscrew the atomizer cap, then inject the liquid directly into the cambered slot. 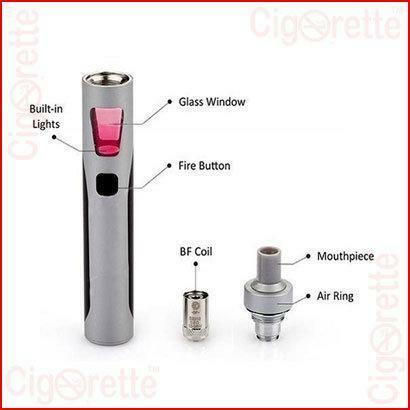 Furthermore, you may rotate the ring on the atomizer cap clockwise or counterclockwise to adjust the air flow. 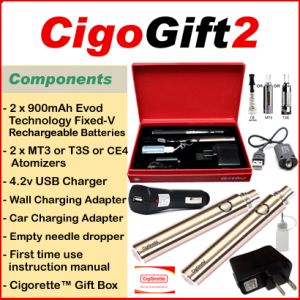 Finally, to charge your eGo AIO; connect it with a computer or a wall adapter (output: DC 5V) via USB cable.